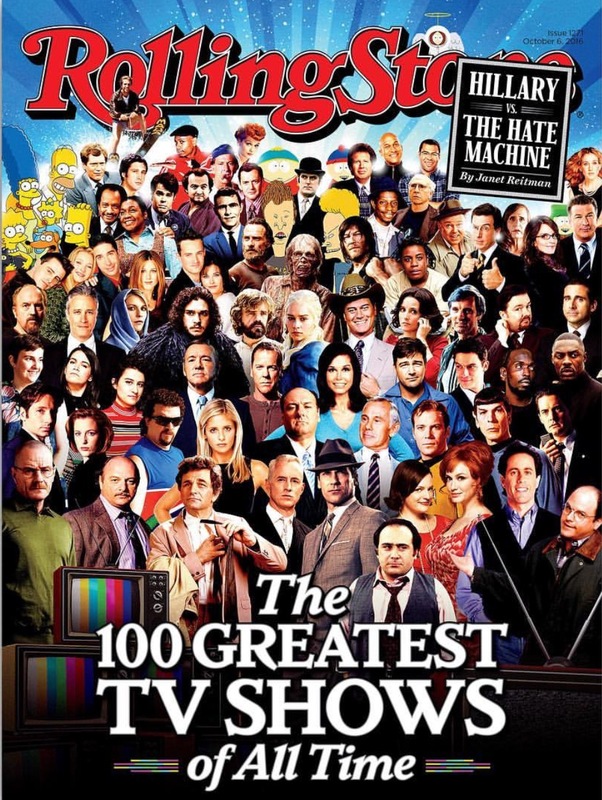 So Rolling Stone Magazine undertook a major poll – actors, writers, producers, critics, showrunners. Legends like Carl Reiner and Garry Marshall, who sent us his ballot shortly before his death this summer. All shows from all eras were eligible; anybody could vote for whatever they felt passionate about, from the black-and-white rabbit-ears years to the binge-watching peak-TV era. The ratings didn’t matter – only quality. The voters have spoken – and, damn, did they have some fierce opinions. On this list you’ll find vintage classics and new favorites, ambitious psychodramas and stoner comedies, underrated cult gems ripe for rediscovery, cops and cartoons and vampire slayers. You’ll find the groundbreaking creations of yesteryear as well as today’s innovators. (There was nothing like Transparent or Orange Is the New Black or Game of Thrones a few years ago, but who could imagine this list without them?) The list is guaranteed to start plenty of loud arguments – but the beauty of TV is how it keeps giving us so much to argue about.